Located in Labastida (Rioja Alavesa) on the foothills of Sierra Cantabria, this is one of the most enchanting wine estates in Spain. Owned by the Rodríguez family since 1967, renowned producer Telmo Rodríguez took over in 2009 after having been absent for 11 years –he left in 2007 to set up his own project. Telmo Rodríguez refers to Remelluri as “an ancient property” with a strong spirituality given that between the 14th and 15th centuries Hieronymite monks linked to the shrine in Sierra de Toloño established a farm here. The name Remelluri derives from Erramelluri. Count Erramel is said to have founded a settlement here as proved by the remains of a necropolis dating from the 10th century and an ancient stone press or lagar carved out in the rock. The earliest wine production reports date from 1596. 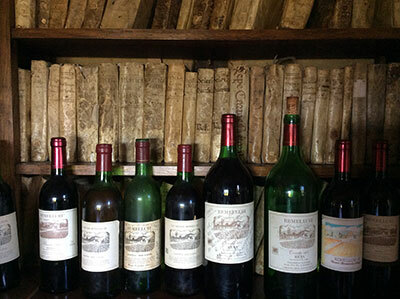 The oldest account book, kept in Laguardia’s town hall, records regular wine contributions measured in cántaras (an old measure that stands for 16.133l) until the 20th century. After they purchased the estate, Telmo’s parents, Jaime Rodríguez Salís and Amaia Hernandoarena, focused their work on returning the estate to its original size (it had been reduced to 20Ha) and recover the wine growing tradition. 1971, the first Remelluri vintage on the market, was also the first modern single-vineyard Rioja. Remelluri currently expands across 160Ha, 100Ha of which are under vine in around 150 plots. Vineyards are organically certified since 2013. The highest vineyards, located at 800m of altitude, are planted with white grape varieties destined to the unusual white Remelluri (around €47 in Spain, 6,000-7,000 bottles but set to reach 12,000 in the future). This wine created by Telmo in his youth was released for the first time in the 1994 vintage. A blend of almost a dozen grape varieties including some from the Rhône, the focus is on terroir —Telmo always refuses to talk about the blend and reveal which grapes they use. Remelluri champions field blends. They want to plant a library of varieties beneath the chapel including rare grapes grown on the estate as well as minor varieties from Rioja. In the winery they combine different fermentation and aging vessels (foudres, glass demijohns, oak vats, cement tanks) of different sizes so that “the resulting wine is a compendium of its origin without a trace of make-up,” says Rodríguez. One thing they never blend is terroir. In fact, Rodríguez’s first decision when he took over Remelluri in 2009 was to create a new wine with all the grapes sourced from purveyors (they accounted for 40% of the grapes processed at the property). 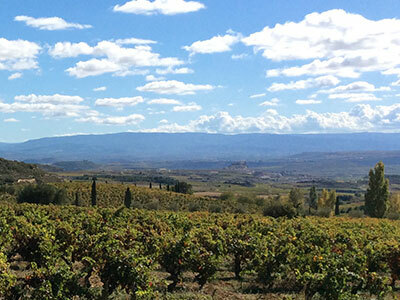 Called Lindes (borders), two reds were launched starting from the 2010 vintage: Lindes de Labastida and Lindes de San Vicente. The idea was to show the clear differences between the two villages where Remelluri’s purveyors were based: earlier, riper harvests and more structure in San Vicente; higher altitude, freshness and slow ripening in Labastida. Both wines retail at €12 in Spain with production ranging between 50,000 and 60,000 bottles each. In the future some small cuvées are set to be released to highlight the most distinctive vineyards. The Reserva (roughly €18 in Spain, around 200,000 bottles) is Remelluri’s flagship red exclusively made from grapes grown in the property since the 2010 vintage. It is a blend of Tempranillo with other traditional Rioja red varieties like Garnacha, Graciano and a bit of Mazuelo. The best red grapes are destined to Granja Remelluri Gran Reserva (around 8,000 bottles, €45 in Spain). The blend includes some Garnacha with a marked Atlantic character and Telmo Rodríguez wants to increase its share up to 20-25%. Graciano also plays an important role in Remelluri reds. He is now working on a white made from +80-year-old Viura vines aged in the solera system in old barrels brought from López de Heredia. This wine won’t be released until it has been aging for 10 years. The idea is to capture in a bottle Rioja’s two major schools: place (terroir) and time. Remelluri is an essential visit for wine lovers. 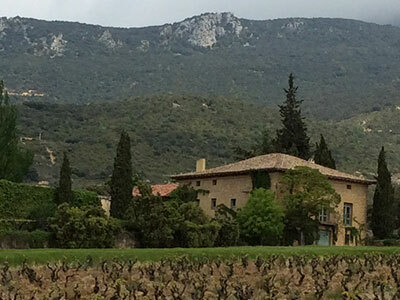 Tours include a visit to the vineyards, the chapel and the winemaking facilities followed by the tasting of two wines. Maps are available at the cellar with hiking routes around the most emblematic sites in the property. Three 30, 60 and 90 minute routes are suggested. Are multi-vintage blends back in Spain?